I was a driver for Metro Mobility and was hit by a distracted driver in a head-on collision. Dash cam video revealed that the driver was texting while driving. 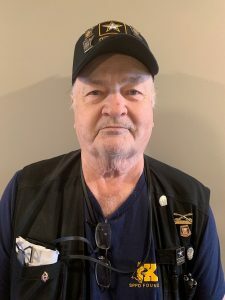 I didn’t feel anything right after the accident, but later that week I started experiencing pain and soreness in my buttocks and legs, which only got worse. I could barely walk without needing to find a place to sit down. I was in constant pain that prevented me from enjoying life. The pain got so bad I just couldn’t take it anymore. I went to the clinic and they gave me some pain pills and said they couldn’t do much else. I ended up having some epidurals which lasted about a day. Then I went to Summit Ortho and they gave me more pills. 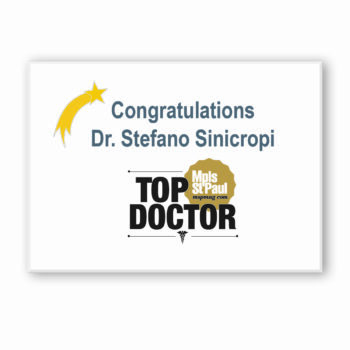 One day I was driving a client to a spine clinic and they were raving about Dr. Sinicropi. 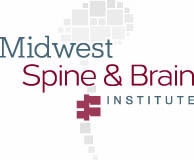 That made me decide to give Midwest Spine a call. Dr. Sinicropi took one look at my MRI and identified the problem right away. Right after surgery the pain was totally gone! Before the procedure it felt like walking on broken glass. It was miserable. Now I feel fantastic! I go to the gym 2-3 times a week and I’m able to move without pain! 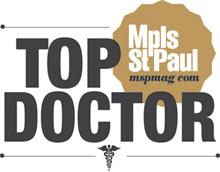 I’ve got nothing but praise for Dr. Sinicropi – he is the best surgeon I know. Make an appointment with him if you’re having spine issues!